Indie comic readers, I've just finished the last page in a stomach turning, gut wrenching thriller and mystery about a detective that's had a rough go in life. The great thing about reading indie comics is the fact that it's sort of an anything goes territory. Before the publishers get their hands on the hard work of indie creators, sometimes they turn out work like this. 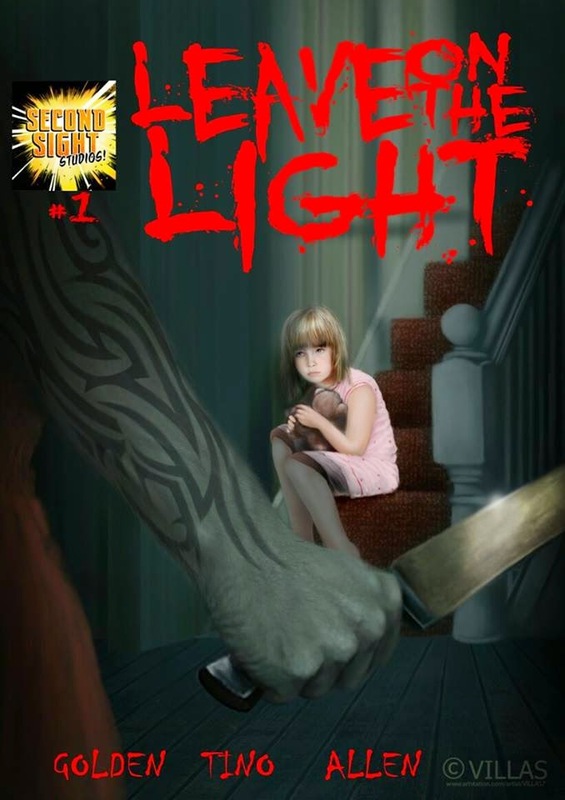 You can really get a sense, by reading Leave on the Light, the ability of some artists to portray a wildly depraved villain. 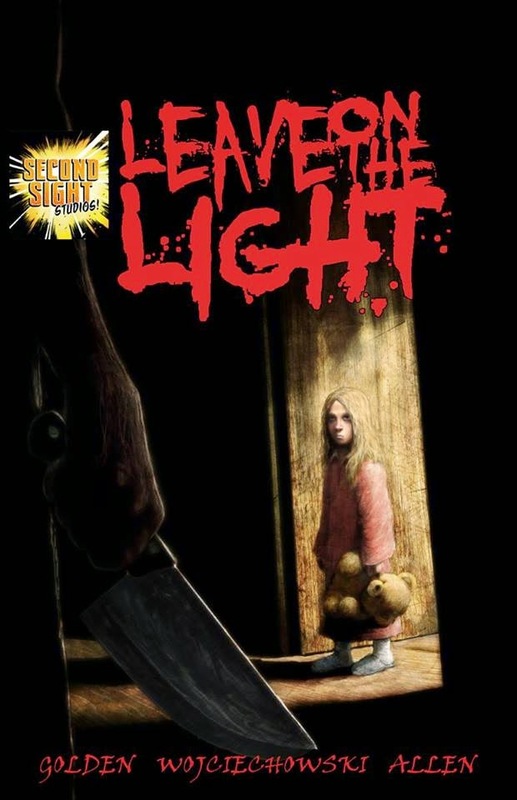 Leave on the Light, a graphic comic surrounding the bloody violent murders of a deranged psychopath—someone so wicked, his handy work is indescribable and unbearable, even to those that have been in the field of homicide for a very long time. The person that I assume will play something of a heroine role in this story, a detective, carries around a picture of his own children, two youngsters whom I suspect will work their ways into the story in some tragically unforeseen past memory. That's the back story I'm betting on. Any way it goes, the comic screams Max Payne. In the first book, two things become apparent: our detective has seen some insanely gory crime scenes and the more recent killings remind him of a not so distant past—a past he thought he had put behind him. The problem with the style, extreme brutalization, and leaving of the murders being of this certain other serial killer's repertoire? He was supposed to have been sentenced by a jury of his peers, served his death row time and been put to death via capitol punishment already. I assume the comic will evolve from it's extreme horror foundation into something of a detective horror/thriller. The art in this comic is crisp. The story has definite potential and the psychotic detachment of the villain is hard to stand. It's definitely worth taking a few minutes to read. Tell me what you think downstairs.